Since 1884, The Alden Shoe Company has designed and manufactured classic gentlemen's footwear to represent America's nearly lost tradition of custom shoemaking at its finest. Alden's footwear is handcrafted from the richest-textured and deepest-colored leathers, representing a century-old tradition of craftsmanship. Here at Sherman Brothers Shoes, we offer a wide variety of Alden shoes for sale as well as classic boots for dress wear, dress casual, and casual wear. Men who are looking for formal shoes that they can wear to important meetings or for a fun night out on the town do not have to look any further than our online store. In fact, you’ll be able to find footwear of the highest quality, handcrafted from the finest leathers to create a look that you won’t be able to find anywhere else. The Alden shoes that we have for sale on our website boast classic patterns and are crafted with the most extraordinary attention to detail. They were made using Alden’s exclusive lasts, so along with having a refined appearance, the shoes are also made for comfort. The shoes’ insoles are made with heavy, natural leather and pure vegetable tanning methods. Over time, the shoe will assume the shape of your foot to provide a truly custom fit. This brand is also unsurpassed when it comes to breathable comfort and long wear. The upper leather of the Alden shoe brand is selected from some of the top grades of the world’s finest tanneries. 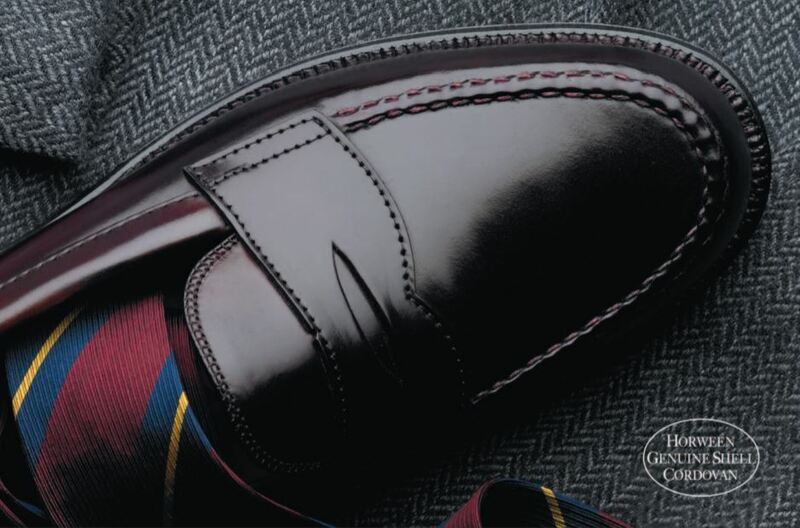 They include genuine shell cordovan, luxurious calf and kid suedes, and more. At the Alden factory, Oak tanned leather bends are cut into outsoles to ensure a maximum control of quality. They’re specially treated for long-lasting and durable wear and then they’re polished to a fine luster using carnauba waxes. Each and every shoe has a full leather lining that’s chosen from a unique supply of smooth, glazed kip linings and supple glove linings. The shoes carry a tempered steel shank, which is precisely contoured and triple ribbed to provide extra strength. The shank is the backbone of the shoe, and the Alden brand shanks are designed to provide the proper support and shape for people who spend much of their time walking and on their feet. Our Alden shoes for sale are made in the USA. Here at Sherman Brothers Shoes, we sell Alden shoes that are designed for both style and comfort. On our website, you’ll be able to find best-sellers, the newest styles, high-quality boots, different collections, and classic styles. Take a look at our men’s dress shoes for sale because you never know when you’ll need them next. We also have a wide selection of Alden belts, accessories, and shoe care products. Browse our website today to find custom shoemaking at its finest!